Boys are 22% more likely to repeat a grade than girls. For every 100 girls diagnosed with a learning disability, 276 boys are diagnosed. For over 50 years, girls have outperformed boys on standardized tests measuring reading ability. At first I wondered if all of these statistics were telling the truth. As a fifth grade teacher, I never noticed a gender gap in my classroom. I've had high performing boys and girls. I've also had just as many girls as boys requiring additional academic support through remediation and special education programs. Then I thought about it some more. In 12 years of teaching, I can only think of two girls who had an out of school suspension, but every year at least two boys from my classroom were suspended at some point during the school year. 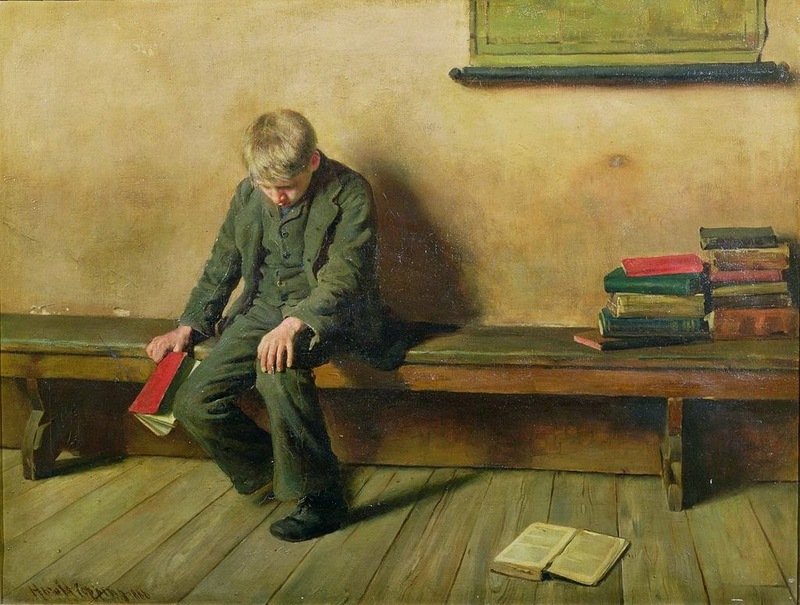 Nearly every time a student surprised me with uncharacteristically poor performance on a standardized test it was a boy. The students I've hounded most about homework, my least motivated readers, my students who required in-class aides: all boys. Something is going on here. And it isn't just a problem in the United States. Finland, who is often held up as a model of a successful school system, has twice the gender gap of the United States on the reading portion of the National Assessment for Education Progress. What is causing these problems? Is it the way our schools are run? A Time Magazine article suggested that teachers discriminate against boys. Do we? Or is it boys themselves? 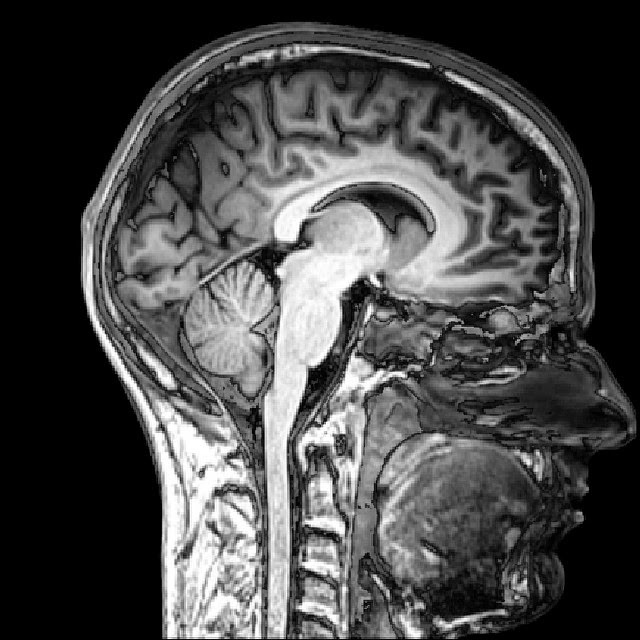 Does the development of the male brain differ so much from the female brain to account for these statistics? 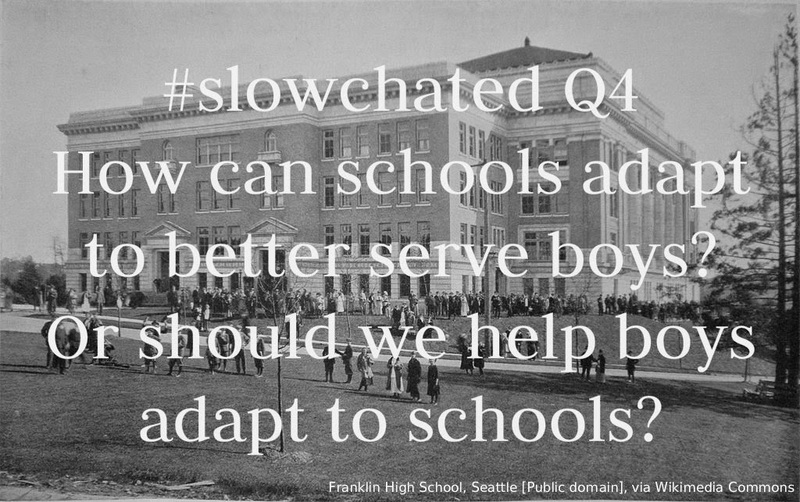 How can we, as educators, address these issues? 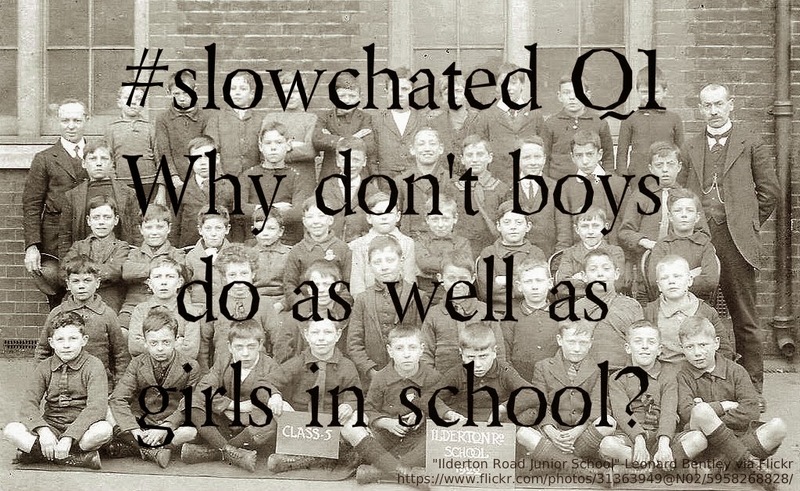 All of these thoughts about boys in school led me to think about the men in my school. I've taught at two different elementary schools and had the distinction of being the only male classroom teacher in the building. Now that I'm the advanced learning specialist, there aren't any male classroom teachers in my building. 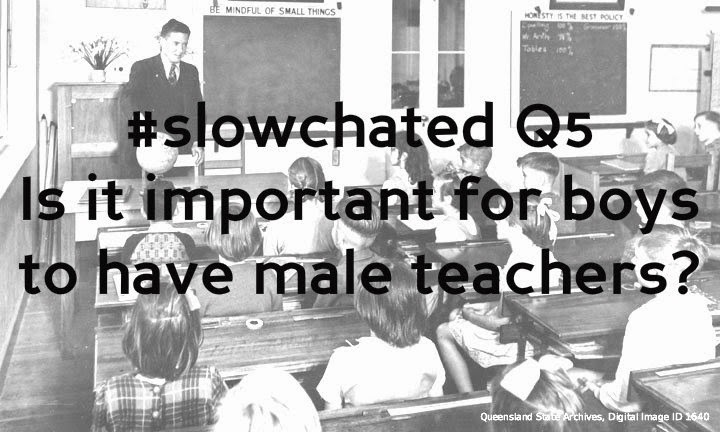 How does the lack of male teachers in elementary schools affect boys? Current statistics show that men make up only 19% of the entire elementary and middle school teaching force. 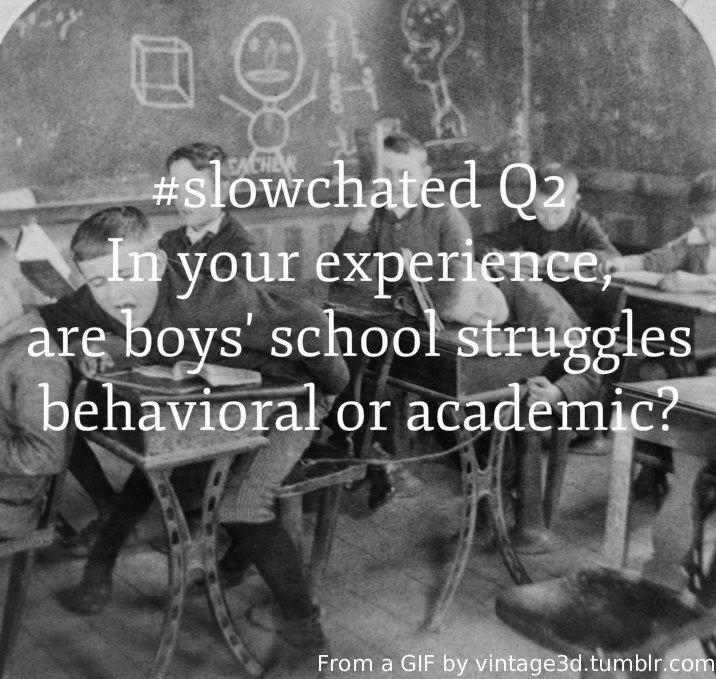 Could that be part of the problem of boys' underachievement? How can we encourage more men into our profession? This isn't exactly an opening statement for the chat since we've already been discussing this topic for two days. Every Tweet and every link is giving me more to think about. I jotted down potential questions for the week when I signed up to moderate, but all of the great information we're discussing leads me down different paths. So I won't be posting questions in advance. Please keep sharing, and remember that the beauty of a slow chat like this is having the freedom to take time. 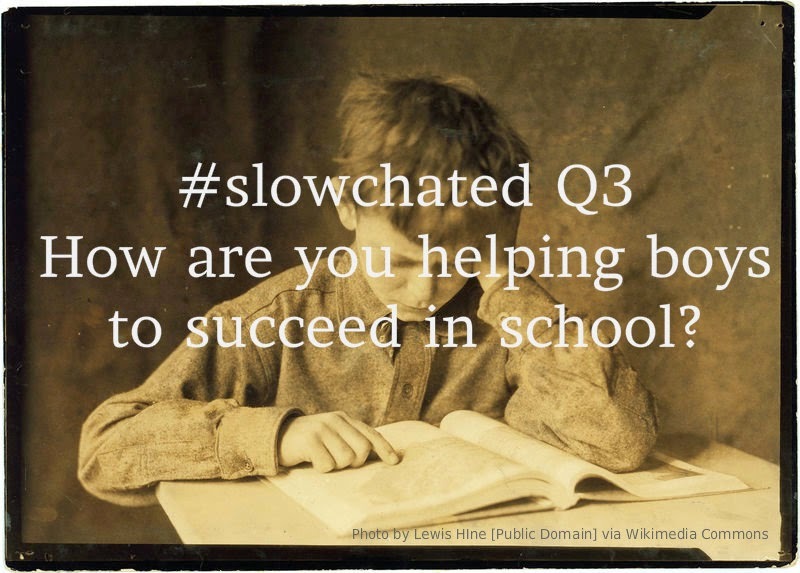 Explore the posted links, find additional statistics and articles to share, and engage with the rest of the #slowchated community. I look forward to seeing what you contribute. Very nice post! I appreciate all of the links. I love that you are adapting the questions as we go, the conversation feels more natural and evolving this way. Thanks. Thanks! There is so much out there to read about this topic. Those links are a few that I found interesting. This has definitely been an evolving conversation. I appreciate how much everyone has responded to each other's ideas.